Fundraising | Center Shot Archers, Inc. THANK YOU, THANK YOU, THANK YOU !!!!! to all who participated in our Second Annual Fundraising Tournament on May 20th, 2018 at Proline Archery Lanes. We had a great turn out and lots of fun. THANK YOU to all of you who sponsored our athletes and gave from their hearts. Seven archers will benefit from your generosity. You are helping to make history and to make our archers’ dreams come true. Congratulations to all of our archers. Big props to our Gold, Silver and Bronze winners. Our wonderful T-shirts are also available for sale. Other colors available: Yellow shirt with black Ink; white shirt with red Ink; and blue shirt with yellow ink. OR you can make a gift or sponsor an archer. If you are interested in supporting us or want more information about our program, please email Coach Larry Brown ancestralbeads@aol.com or Roberta Jones rfurtick@optonline.net. Please note that we are on our way but do not yet have our 501c3. Consequently donations are not tax deductible at this time. An additional 4 other young archers were given gift certificates redeemable for archery equipment. We are very grateful to Ms. Blue. Thank you for coming to our website. 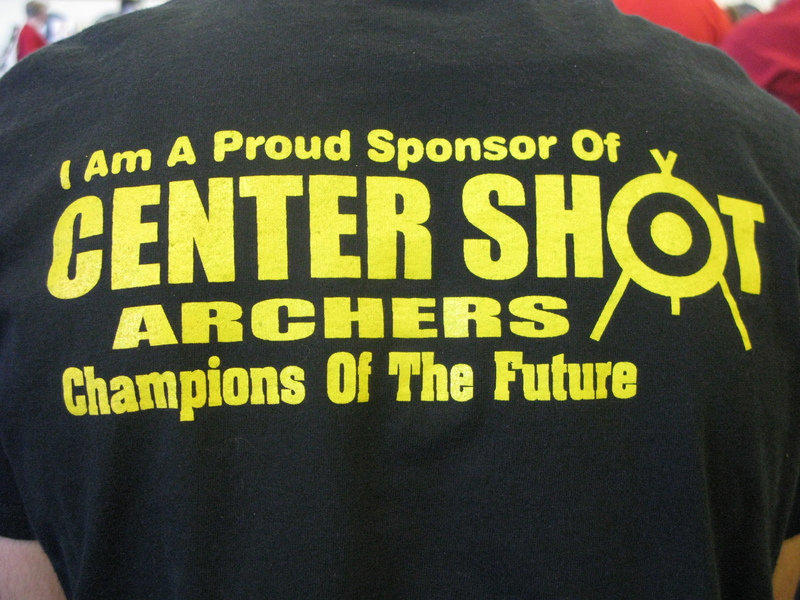 We welcome your questions or comments about Center Shot Archers. Hello, my 13 year old son & I are taking up archery as a hobby and we have plans to compete in 3D should everything go as planed. As African Americans in the Buffalo, NY area – there aren’t many known Brothers (or Sisters) that shoot here so needless to say , this has been an interesting endeavor . I learned of the Center Shot Archery Club a while ago and have had only the website to follow the clubs activities. However, I’d like to purchase a couple of your t-shirt’s if possible. Hello David. Thank you for your support. You’re correct there are not many African American or Latino archers. Glad to hear that you and your son are involved in an activity together. That says a lot for both of you. We do have shirts for sale. Please send your sizes to rfurtick@optonline.net and we will get them out to you as soon as possible. Look us up if you are in Brooklyn one Saturday. Be well. Hi Brooke. This is Coach Roberta and I manage our website. Thanks for coming to our website. Our fundraising is ongoing. We do not have a 501c3 so all donations/gifts are non-tax deductible. We are in the process of applying. In May or June we will host our 3rd annual Fun Tournament which is also a fundraiser. Send me your contact number. Be well. God Bless Coach Brown, Coach Roberta and all the staff and archers at Center Shot Archers!! I saw the segment on CBS and knew I wanted to help in some small way. I believe they said that Coach Brown does some painting as well. Does he have any showings coming up? In any case, I’d like to help. Please email me some information about events and how I can contribute. I looked you up on gofundme but it doesn’t seem like anything is active. Is that right? Thank you Marty so much for your kind words and wishes. Coach just finished up a three show run at the Bishop Gallery in Brooklyn, the Hamilton Landmark Gallery in Harlem and the Harlem Fine Arts Show at Riverside Church. We don’t have a next show scheduled but his art is always available through him directly. You can also go to http://www.ColorMyHoops.net to see more of his art work. We will have our third annual fundraising Fun Shoot in May or June. As soon as the date is confirmed I’ll post it. Again thanks for your interest and support. Be well.